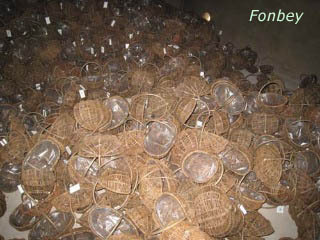 Fonbey Arts and Crafts Inc. Fonbey is a brand name of QINGDAO GINGERKING INTERNATIONAL CO.,LTD. 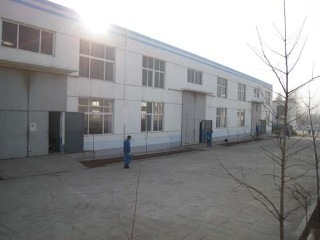 as Grassbasket Factory located in Qingdao China. 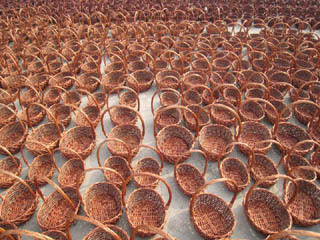 We are specialized in manufacturing and exporting different types of arts and crafts, such as grass baskets, willow baskets, grass shoes, wooden boxes, packing wine baskets, laundry baskets, flower baskets, mose baskets, picnic baskets, wicker fruit dishes, handle gift baskets, art furniture, pet baskets etc, about more than 3,000 kinds and patterns. 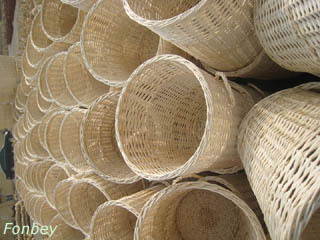 All the crafts are better quality with natural materials. They are worthy to admiring and using. Our products sell well in the USA , England , France , Belgium , Japan , Italy stores and market, more than 30 countries. 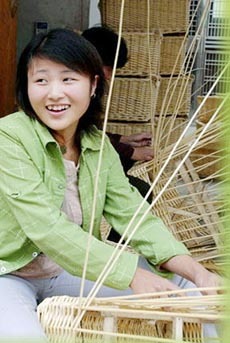 In recent years, we developed new products of curly willow with novel design and fine workmanship. These gifts are deeply favored by market. 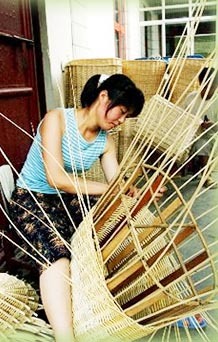 Today people always love to hobnob with nature, and use the non-pollution and natural crafts. 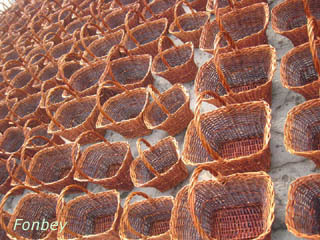 Fonbey products are all weaved by this non-pollution and natural material.The grass and wicker Used for our baskets are grow in China Yellow River sands beach.For the low in price and better in quality, fonbey baskets are the better choice as the package for fruits,flower etc.Baskets artist works are useful to live and home decoration in particular. 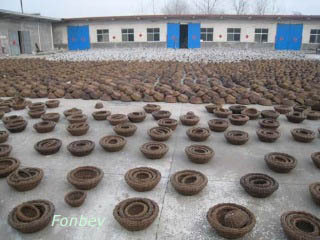 "Satisfactorily Serve" is the creed of our company.Fonbey products have no child labour,pay attention to the environment. 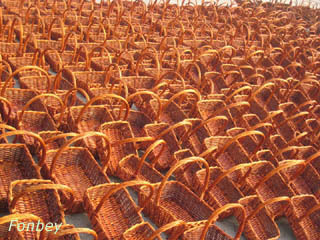 Fonbey Arts and Crafts Inc.
Gingerking Grass Basket Factory located in Qingdao China . 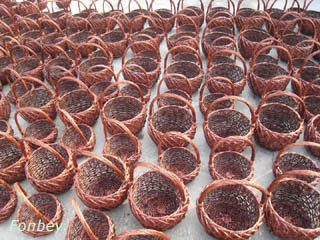 We are specialized in manufacturing and exporting different types of arts and crafts, such as grass basket, willow baskets, grass shoes, wooden box, laundry basket, flower basket, picnic basket, handle basket, furniture, pet basket and about more than 1,000 items, exporting to USA , England , France , Belgium , Japan , Italy and more than 30 countries. While we improve the product quality, specially pay great attention to the development of the products. 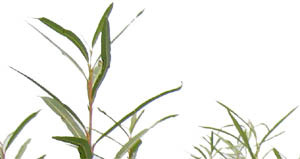 In recent years, we developed new products of curly willow and mistumata with colored and flocked, which are excellent & novel design, fine workmanship with usability and decoration, and deeply favored by foreigners such as WAL-MART, RED CATS etc. We accept production by buyer ' s drawings,samples,or order by buyer ' s brand and packing. “ Satisfactorily Serve ” is the creed of our company. The traders from world wide are welcomed to do business with us.